Bruce Lee – The Fighter is a Telugu Action Comedy starring super star Ram Charan and Rakul Preet Singh directed by Srinu Vaitla. 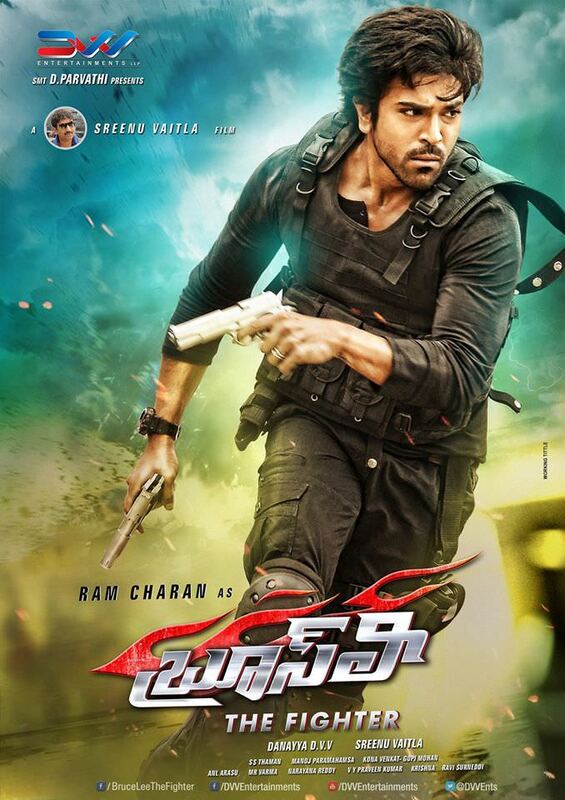 Ram Charan Plays a stunt man doing body double for actors in the movie Bruce Lee. The Story of the movie revolves around Karthik played by Ramcharan and Riya played by Rakul misunderstanding of Karthik as a Cop. 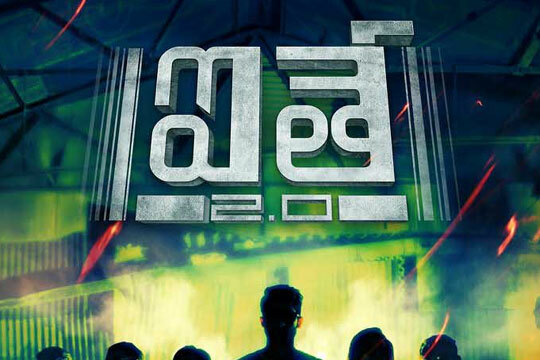 The Film shooting was done in Hyderabad. It was rumored that the female leads would be played by Kirti Shanon and Sonakshi Sinha, but later there were other names which came up like Shruti Haasan because of the hit pair in Yevadu with Charan. The Movie was produced by DVV Danayya, under the banner Universal Media. The movie was first named “My Name is Raju” which was a catch line picked from the song of the movie Jagadeka Veerudu Atiloka Sundari released in 1990 starring Chiranjeevi and Sridevi. Later as the protagonist’s character isa stunt man the makers contemplated to title the film as Bruce Lee. The Music of “Bruce Lee – The Fighter” was done by S.S. Thaman which was extremely catchy numbers, he robbed in singers like Saisharan , Nivaz, Rabbit Mac, Deepak, S. Thaman, Megha, Sameera Bharadwaj. Bruce Lee – The Fighter was shot in 110 working days, with 15 working hours per day thus making the fastest big budget Telugu film featuring a big star cast in the recent times. It is also reported that Ram Charan hired Priyanka Chopra Persoanl Trainer Samir Jaura, to get into shape for the film which was a intersive programme for 5 months with exercise and strict diet. Danayya planned to release the film on 15 October 2015 a week ahead of Dusherra, clashing with Mahesh Babu‍ ’​s Brahmotsavam. The overseas theatrical distribution rights were purchased by Great India Films, while the television broadcast rights were puchased by Zee TV. Zee also bagged the marketing rights for Bruce Lee’s Sound tracks.